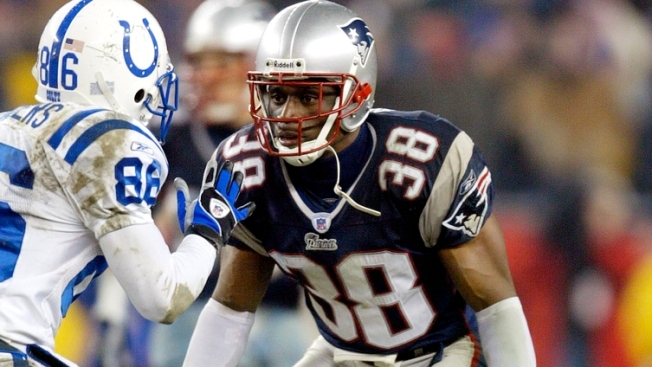 Apparently winning two Super Bowls with the New England Patriots in 2003 and 2004 did not quench the athletic thirst of former Patriots cornerback Tyrone Poole. Poole, who is now 47, played cornerback for the Patriots from 2003 to 2005. Now Poole will be taking his talents to television, as according to multiple sources, including Poole himself, have reported that the 5'8" former Patriot will be competing on "American Ninja Warrior" television show, and his run will air on June 5. According to a Patriots.com report, Poole says his dedication to staying in shape helped both during his Patriots tenure, and in his preparation for American Ninja Warrior. If one hopes to do well on ANW, training, and much of it, is certainly required. "When we were kids we swing from one rod or rope to the next. When I went to Ninja Quest, [owner Glenn Davis] and some of his workers there began to familiarize me back with my childhood," he said. "This is how you want to swing and grab. There's a technique in it. it still centers around principles of body structure and becoming familiar with your childhood." While fans may have to wait until June 5th to see Poole's performance, Poole himself will be taking to obstacle course very soon, as his run will take place this weekend.